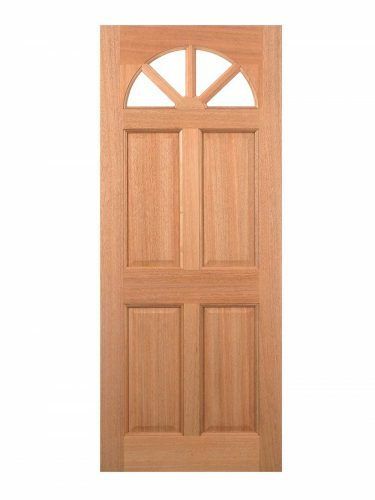 Hardwood Un-Glazed 4-light 4-panel External Door. Unglazed top lights for your own choice of glazing. Georgian/Regency Styling, Four panels with arched top lights. Hardwood Carolina 4P M&T.Made from a hardwood material, this Carolina door features unglazed panels with a rounded top edge and four raised shaped panels.